Find, choose and compare IMS QTI Compliant eLearning Authoring Tools in the Top Authoring Tools Software directory of eLearning Industry. 5 results matching your search criteria. Area9 Learning’s adaptive platform is an end-to-end, cloud-based, web-and-mobile eLearning design, authoring, delivery and reporting system that is fully compatible with LTI, SCORM, and integrates seamlessly with LMS’s. eXact learning Packager is for fast-paced organizations that have a demand for high-volume, professional and consistent learning output. Create powerful eLearning content rapidly and cost-effectively with Instancy's web-based authoring tools. Energize your training content with multimedia and HTML5-based presentations that synchronize audio and video with animated content. MOS Chorus LCMS is a powerful yet intuitive, SCORM compatible authoring tool and content editor offered for free by MOS – MindOnSite. You can create your eLearning content in offline mode and upload it with just one click onto a LMS/LCMS platform. 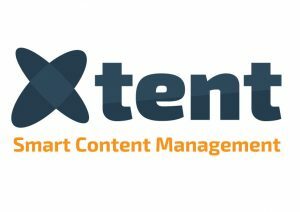 Content management and collaborative authoring in a single source workflow to produce compelling eLearning or print content in a high productivity environment ensuring high standards of quality while maximizing content reutilization.